JANAKPUR, June 5: A year ago, Janakpur was declared temporary capital of Province 2 amid protest against the decision. Residents of Birgunj protested against the decision while pitching their own city for getting the status. Though the protests have not completely simmered, Janakpur is struggling to get a makeover. Despite having rich cultural and historical heritages, the city continues to be plagued with dilapidated roads, garbage mismanagement and messy market areas, among others. Road widening projects, which never meet deadlines even after numerous extensions have left major city areas equally disturbed. Shiva Chowk, Bhanu Chowk, Janak and Ram Chowk, among other crossroads and market sides have been halted for months now. No businesses are operating from these areas. Thanks to the undergoing road construction and widening projects, locals are left with no choice but to avoid being around the main areas of the city. Despite protests, the government is making preparations to formally declare Janakpur as the capital of the province. This time, locals of the city itself are not happy about the move. 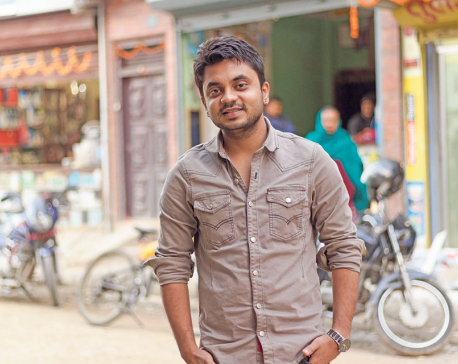 “If you look at Janakpur, you will hesitate to call it a capital city. Nothing is in place, look at the roads, markets, houses, everything seems to be in a mess,” noted Jahabir Sah, a local of Janakpur. “We were extremely happy earlier when this place was picked up as the capital of the province. But now we are really disappointed,” he added. Garbage management was the first thing locals expected the government to do. Then there were ongoing projects, mainly related to widening of the roads. Sah stated that most of those projects have crossed deadline several times. “We had thought that the provincial government would make them work speedily, at least to save the face of the city. But that did not happen even in a year,” he said. He added that the people of Madesh earlier put the blame on ‘Kathmandu’ for neglecting rest of the country. However, now when the ball is in the court of the local leaders and provincial governments, they are not showing the zeal to bring any changes. “It is easy to blame others. Even though we have our own government, we are still falling back on crucial projects. People are neglected, their plights do not touch the leaders, ministers,” Sah said. Unattended construction materials left on the roads are instead posing risk to public and road safety. Many a times, locals have been injured while trying to pass through the road corners. “Almost everywhere they have dug the street, alleys. There is not even a single stretch of road that is not dug and safe to commute. Despite the risks, children walk on the same road along with adults, everyday,” Sah lamented. Rs one billion project still incomplete. Janakpur has remained in high priority in terms of development under the Integrated Urban Development Project for which ADB has provided one billion loan to the city. Three years down the road, a little change has been seen so far. On the other hand, delay in the construction works have left the city ugly and far more inconvenient to live in. According to staffs at the office of Janakpur Sub Metropolis, contractors have extended the deadline of the project several times. As such works given to them have mostly remained incomplete. If the pace of work is not sped up, Janakpur will never be free of the mess, they state. “Though developing basic urban infrastructures was the goal of the integrated urban plan, they are still missing in this city. Let alone sub-urban areas, even core city area of Janakpur is deprived of basic facilities,” Sah remarked. Recently, Janakpur had received Prime Minister of India Narendra Modi. The government then left no stone unturned to decorate the temple and nearby areas. Streets were cleaned up and grand welcome was arranged. Sah however, terms it as a hollow show of development. “That was just a show off, a temporary arrangement. But if we really loved or regarded Janakpur, that should have been other way around,” he maintained. “We need not decorate it when somebody comes here, rather we needed to keep it posh all the time,” he added. 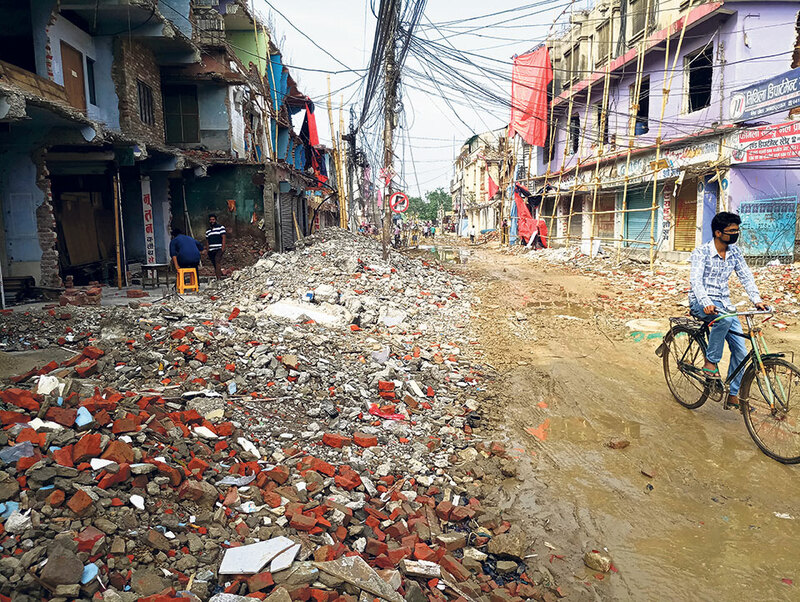 Meanwhile, Birendra Yadav, engineer with the municipality office, stated that the recently extended deadline of major road widening projects in Janakpur is June end. “The deadline has been extended few times earlier. Now, the new deadline set is for June 30,” he stated. Though he claimed that over 75 percent of the works have been completed, locals are not ready to buy the claim. “We do not think they have completed so much of work. The delay is apparent, you don’t have to ask them. Its right in front of you on the road,” said Sah.